30 Days of Enlightenment: Spells & Mantras to Increase Your Energy, Build Protection, and Enhance your 3 Bodies! 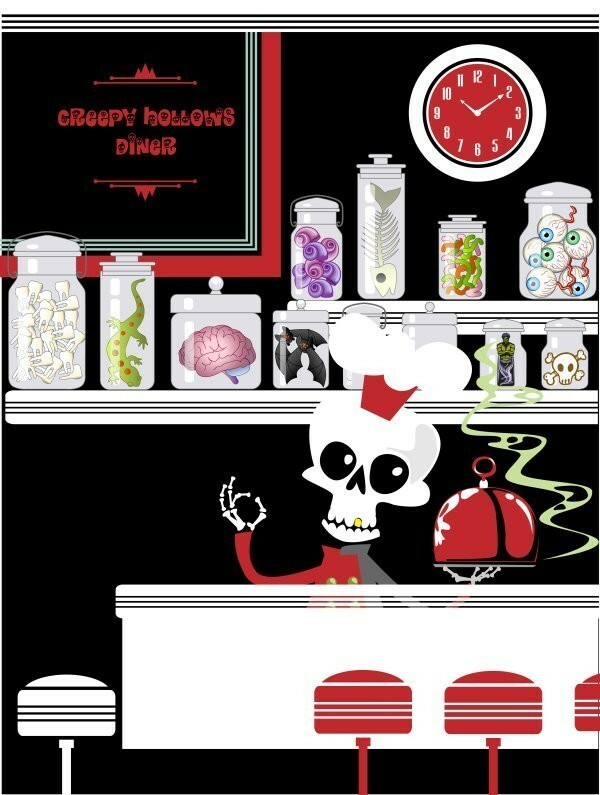 A new Creepy Hollows book that is part of of our new Creepy Hollows Cook Book series where you are provided recipes & instruction for your spirit! This book doesn't require any cooking of food, just some good recipes & daily instruction for spells, mantras, and associations that when used every day will boost your 3 bodies, your spiritual connectedness, your magickal prowess, and create some serious protective energy & power around you! Jack has been in the Creepy Hollows kitchen whipping up some great recipes to help you achieve your goals in the paranormal & metaphysical! You definitely want a taste of what he's been cooking! We provide you with 30 Days worth of associations, mantras, spells, and guidance to strengthen you in areas of paranormal energy and protection. The associations are colors, scents, & other items you'll want to wear or have around you for that day; whether it's clothes, candles, objects with that association, etc. Utilizing these guidelines will help you in unlimited aspects of you 3 bodies; physical, spiritual, & astral. You can apply the gains from this book in spirit contact, psychic power, third eye opening, astral travel, spellcasting, and in many non-paranormal, day-to-day life experiences. Following this guide from day 1 to day 30 will strengthen the paranormal & metaphysical energies around you; awakening you to new experiences, situations, & levels of confidence. It is written as a daily building block of power & energy. If something happens & you miss a day or two, it's not necessary to start over. If you miss more than a consecutive week of time, then it might be best to start at least 5 days prior to where you missed to help strengthen what you've gained! Enjoy the power, energy, & motivation the information this book provides you! Congratulations on your journey, you'll love every minute of it! This is a paperback book, cover pictured, 5x8, around 20 pages. As with all our printed materials there aren't any additional discounts. 4 other shopper(s) have this item in their Cart or Wish List. This book is wonderful! I love having special daily rituals that are so well thought out and easy to perform. THANKS AGAIN Magnolia.